The skies over Wuhan City are set to become California pilot Tim Cone’s high-octane race track as he looks to back up his world championship title this week at the Air Race 1 China Cup – the fastest motorsport on the planet. A corporate pilot and aircraft builder, Cone will take his starting position alongside 12 other highly-skilled pilots from around the world before racing wing tip-to-wing tip at speeds of over 450kph, just 10 metres above the tarmac. The Air Race 1 China Cup, from 16 to 18 November at Hannan Municipal Airport, will be the very first event of its kind ever to be held in China and marks an exciting step forward for what has been touted the ‘Formula One of air racing’. Cone says the event has special significance for him as it is the first chance he’s had for a repeat victory since taking out the World Cup title in Thailand last year. “Nothing comes close to the feeling of flying these planes as fast as they can go around the racing circuit and just metres away from the best racing pilots in the world. 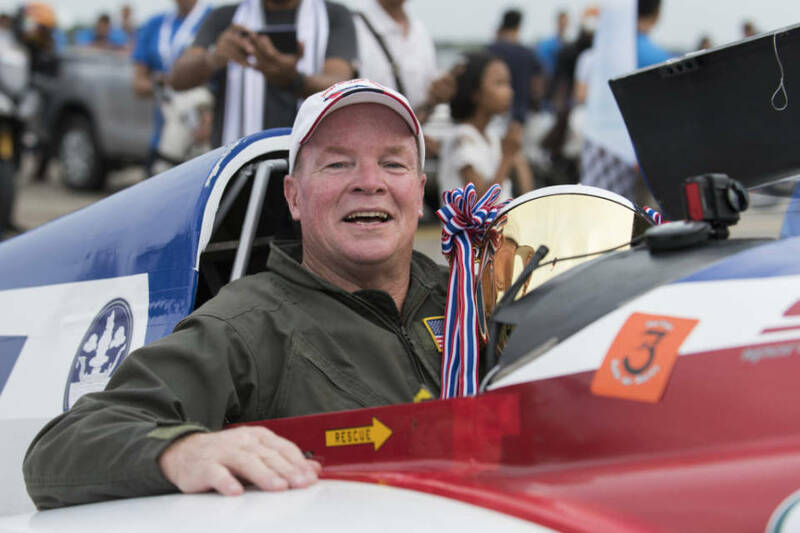 I’m looking forward to the opportunity to back up my success in Thailand and to be one of the pilots to make air racing history competing in the first event of its kind in China,” said Cone. Flying his colourfully-named grove-winged Cassutt IIIM aircraft ‘What Airplane Honey?’, Cone will be looking to get an edge over the competition with he and his crew focused on engineering the airplane to push the boundaries of speed and manoeuvrability. Air Race 1 China Cup will be the showpiece event at the International Championship Air Races China, sanctioned by IF1 (International Formula 1 Air Racing Association), FARA (Formula Air Racing Association) and APAF (Association des Pilotes D’Avions de Formules). The class of airplanes incorporate the most modern materials and cutting-edge technology for those all-important marginal gains. As in all motorsport, an element of success is down to the designers, engineering teams and ground crew support in the pits. Many of the pilots and teams design and build their own race plane to capitalise on unique innovations. Such care is taken with the airplanes that each one is given its own unique moniker. This year’s roster includes the colourfully named ‘Tumbleweed’ raced by Jerry Marshall, ‘Outlaw’ raced by the youngest competitor in the field Scott Holmes and Trevor Jarvis’ bright green ‘Kermit’.